Isn’t this maypole sweet? 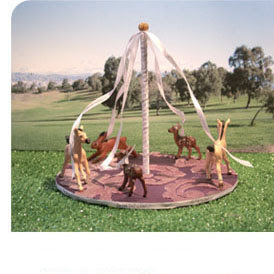 I never had the great honor of dancing around a maypole when I was a child, but this one looks like it would be a lot of fun. The post Maypole appeared first on Darling Darleen | A Lifestyle Design Blog .